You must be a member of the Houston Explore Texas Group to attend this activity. Would you like to join this group? 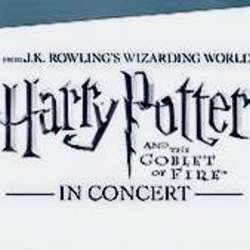 The Harry Potter Film Concert Series returns with Harry Potter and the Goblet of Fire in Concert, the fourth film in the Harry Potter series. The Houston Symphony will perform the score live from Harry Potter and the Goblet of Fire while the entire film plays in high-definition on a 40-foot screen. This concert is almost full, so in the mean time we buy the tickets as soon as possible, we can make it happen.